Vasad Junction is located in the district of Anand of Gujarat state. 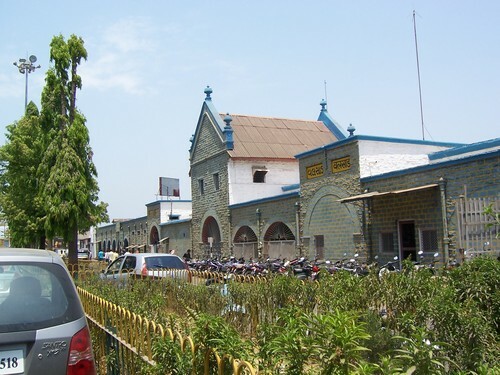 This railway station comes under the jurisdiction of Western Railway centered in Vadodara. Station code is VDA. Vasad city is at a distance of about 22 km form Vadodara, at about 20 km from Anand by road. It is on the banks of the River Mahisagar. Adas road station and Nandesari station are nearby stations. Major railway station is at Vadodara. Major trains passing through this junction are the Gujarat Queen running between Ahmedabad-Valsad, and the Saurashtra Express running between Porbandar-Mumbai. Passenger trains running between Mumbai to Ahmedabad stop at Vasad. Anand, Baroda, Pavgarh, Champaner, and Kheda are the nearby attractions.